the one that didn’t get written. Which isn’t terrible, considering I sent at least one Christmas card without the card…which I suppose made it a Christmas envelope. Seriously, that says so much about this year. We pray this Christmas season finds you well. 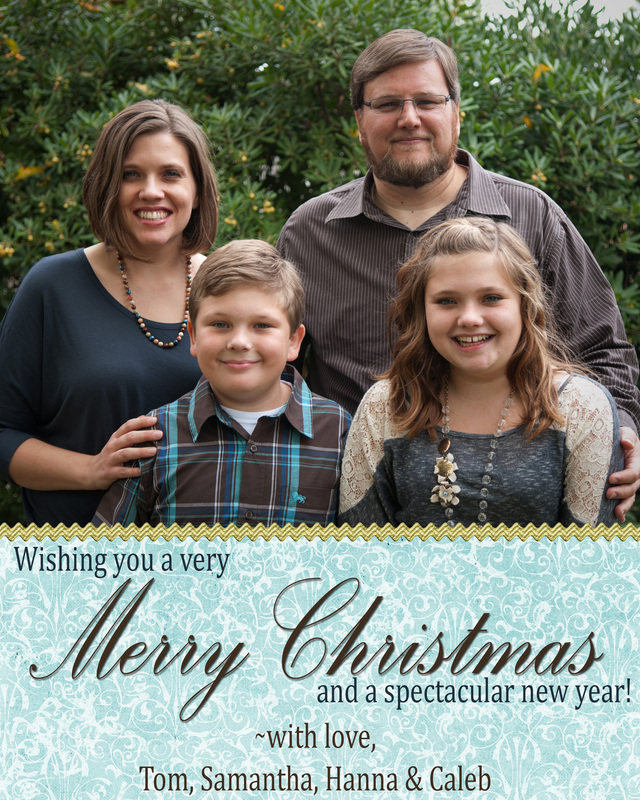 It’s been an unforgettable year for the Widlund family – from the beginning to the end. From big moves to new family members, 2011 has been a year of transition and one we will never forget. We began this year with a move from our home of six years in Florida back to California. It was such a difficult decision, but one we know God was leading. We dearly miss our friends, so many of whom became family, and during these foggy winter days, we’ve also missed that Florida sunshine. After an adventurous trip across country with Tom’s Mom and brother Tim, we settled in at my parent’s and registered the kids at their new schools in my hometown of Dos Palos. We were relieved to see the kids quickly be surrounded by amazing new friends and reveled in the sheer closeness of family. Tom worked on completing his Master’s degree and got set up to substitute teach, while I kept everything running as smoothly as possible in a house of 5 adults, 2 kids and 2 dachsund puppies. We began attending my grandmother’s church – the same church we were married in – and in March, were asked if Tom would fill in Pastor Jim one Sudnay…which eventually lead to Tom being appointed the Pastor when Jim retired a few months later. Tom completed his Master’s of Arts in Theology in May, was speaker at a missions trip to Costa Rica in June, we were able to move into the parsonage in mid-June and began his new job at the beginning of July. It’s been an amazing experience – we’ve been so loved on by our dear little congregation and Tom has learned so much about being the pastor and not just the youth pastor. We’re already seeing growth, personally and in numbers, and I’m confident that God has big plans. Hanna is in eight grade this year and will turn 14 in early January. She’s busy with friends and school activities, helps out in our nursery at church every Sunday, and has developed quite a following of little kids that adore her. Caleb is nine, and in fourth grade. He played his first season of Little League last spring and fell in love with baseball. He loves school, but is still dealing with some health issues related to his asthma and allergies. It’s been a busy year for me – after putting 90% of our belongings in storage for almost six months, I’ve loved making a new home in this wonderful parsonage. In August, I began watching my youngest nephew Ian every day and have enjoyed that so much (2 year olds are a joy, especially when you send them home every night). I also play school bus for my two and my older nephews, and am so grateful that I’m here to help my sister and brother-in-law in this way. I’m still feeling out what it means for me to be the pastor’s wife, but I think I’m getting the hang of it. It’s been wonderful to spend so much time with family this year – whether it’s weekends at Grandma Fee’s in Clovis or at the fire pit at my parent’s. We were also blessed to welcome two new family members this year – my new niece Katrina (we’re beyond smitten), born to Dale and Sarah on November 6, and my youngest brother became to engaged to his girlfriend Mary (who we adore) just after Thanksgiving. We celebrated Thanksgiving here at the parsonage with over 30 family members – crowded, but perfect. We are thankful for the plans the Lord has had for us, and we’re thankful for each and every one of you He has brought into our lives. May your Christmas season be blessed, and may it continue through 2012.